Mobile and tablet devices not supporting the Flash player plugin have contributed to the overall decline of development of interactive web animations during the past few years. Up until very recently, Web designers and developers have had very limited options to create cross-device compatible interactivity, typically relying on AJAX based components. Today we are closing the gap as new emerging technology and web programs are opening doors for new types of ‘Flash free’ interactive ‘animations’. Adobe has brought in two new software products to the market, Adobe Edge, and CreateJS Toolkit built for Adobe Flash Pro CS6, that both offer promising steps towards more quickly produced code based HTML5 interactivity. Google has also developed a program called Google Swiffy which will convert Flash animations to HTML5. Complex vector graphic animations can be created using Flash Pro CS6 which can then be exported as web friendly SVG’s (scalable vector graphics), and animated on HTML5 canvas using either the new built-in CreateJS Toolkit or by using the Google .swf to HTML5 conversion tool Swiffy. With the new interactive tools available, there are now ways for web designers and web developers to increase cross-device compatible interactive creativity both economically and efficiently. A designer/developer can now put together an interactive experience where the exported code renders on all modern browsers and devices without the use of the Flash Player Plugin. Contact Interaria at 214-909-3900 to discuss your company’s cross-platform compatible HTML5 animation needs. For instance, by utilizing HTML5 technology a user may drag online store items to a shopping cart, organize lists of objects in a visual manner, and enjoy different types of online board games that simulate real life playing situations. For uploading images and sending attachments HTML5 is really neat: imagine uploading images from your desktop by simply dragging them to the web page without the need to click buttons such as “browse” and “upload”. HTML5 is turning the user experience from operational to user-intuitive, softening the lines between tangible and virtual. 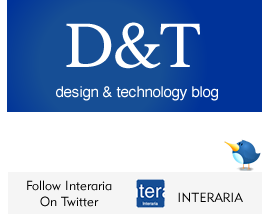 Interaria is an HTML5 development agency. To discuss how to develop and integrate HTML5 features to your web site, please call 214-909-3900. HTML5 standards are a building block of a new semantic web where the current web of unstructured documents is harnessed into elegant “web of data”. New syntactical features of HTML5 include video, audio, header and canvas elements that are designed to make it easy to include and handle multimedia and graphical content on the web without having to resort to proprietary plugins. For instance, the canvas element allows drawing of complex graphics and animations and is on its way of replacing an external Flash player plugin. The new emerging HTML5 animation programs such as Adobe Edge are promising. Another key feature of HTML5 is its “built in” ability to play media (audio and video) without any needs of external media player plug-ins. Effectively, a web developer can just drop a media file to the page, and then a browser that supports HTML5 (such as Chrome) knows what to do with the file. HTML5 has been widely talked and debated about in the context of developing mobile apps. The offline playing and local storage capabilities of HTML5 do create an alternative technology solution for native iOS and Android app development. Many enterprise apps and consumer database apps that do not require specific mobile phone features and resources to function optimally can be developed on HTML5 mode, hence avoiding the “walled garden” of iOS app libraries and their fee structure. Currently the biggest obstacle for developing HTML5 web media is an uneven support of HTML5 by different web browsers. For instance, some web browsers support HTML5 video while others don’t. This gives double work to a web developer who needs to offer alternative code and be sure to test HTML5 developed web media in all current browsers. Time should fix this problem as browser manufacturers are working to improve their browsers and the web as a development platform. Interaria is a Dallas HTML5 development expert. Call 214-909-3900 to schedule a HTML5 consultation; how your website could benefit from the latest HTML5 features. [sources: W3C, wiki, What is HTML5? An introduction to the new features of HTML5, conference presentation by Jason Hanley – Jan 2011]. @ 2011. Meri Kuusi Shields / Interaria. All rights reserved.